International co-operation and encourage the respect for rights and freedom of individuals. The United Nations Department of Economics and Social Affairs (UNDESA) strives to promote employment creation in different parts of the world agenda of norm-setting, data analysis, and capacity building. The United Nations Development Program (UNDP) has also been effective over the years in dealing with poverty and unemployment by transforming development criteria, enhancing peace building, strengthening governance, and preventing any form of crisis. In poor countries such as Haiti that suffer from disasters, UNDP ensures that it participates in the recovery process of the nation and reduce possible death cases. Through its partnership with the World Bank, UNDP has worked to improve the critical infrastructure and service delivery in Yemen. The main agenda of UNDP is the sustainable development goals (SDGs), global goals that aim at eradicating poverty and protecting and ensuring that people prosper and are safe. SDGs address array of problems including climate change, economic inequality, sustainable consumption, innovation, and peace and justice. The efforts forms a guide to UNDP on which it acts towards reducing unemployment and poverty. However, the efforts have been thwarted by the rising unemployment rates among the youths. As indicated by the International Labour Organization (ILO), lack of employment among youths is expected to increase by 13.1%. This evidently affects the organization’s effort in reducing poverty. UN has strived to make the world a zero hunger place through the Food and Agriculture Organization (FAO). In its effort to reduce rural poverty, FAO has succeeded to reduce the number of household living on less than $1.25 a day from 54% in 1990 to 35% in 2010. An important organization working under the UN, United Nations Educational, Scientific, and Cultural Organization (UNESCO), has also made efforts to reduce unemployment cases and eradicate poverty in more than 188 countries. The goal of the organization is to mobilize education, build intercultural understanding, and pursuing scientific innovation. Poverty and unemployment in Algeria is deeply rooted from the colonial period. Since independence, the nation has considered significant development efforts to improve the welfare of its citizens. There are various employment policies that Algeria has put in place to ensure that most of the people get employment or live above the poverty line. One significant agency, the national Employment Agency (ANEM) had been created in 2006 with a mission of intermediating job demands with labour supplies in both public and private sectors. It has recorded an increase in the job demands from 73% to 77% which indicates an existing unsatisfied vacancy rate. ANEM works in collaboration with the Professional Insertion of Youths (DAIP) in managing employment programs for the youths. Another key strategy that Algeria has put in place is the creation of the Social Development Agency (ADS). Since it was created in 1996, ADS has ensured that all pro-poor programs are well managed under SAP (Structural Adjustment Program) in order to integrate youths and improve their employability. There are various organizations that the Algerian government supports in the creation of employment and eradication of poverty. The National Agency for Employment Support of Youth (ANSEJ) encourages and supports the production of good and services by entrepreneurs by advising and training the young people involved. The institution also provide funds for young entrepreneurs. The government also supports the National Unemployment Insurance Fund (CNAC) which offer unemployment benefits to individuals who have been fired due to economic factors. It also supports individuals to create activities that can help generate income and reduce poverty. CNAC has funded over 18,490 projects since 2011, and in turn has created 87,000 jobs. Algeria also works with international bodies including the International Monetary Fund and UNDEP to reduce poverty and unemployment rates. The two main factors contributing to poverty are lack of employment and disparity in the education sector. Most youths in Algeria are currently unemployed while the top management jobs only favor the males. One way of preventing this is to create job opportunities in the country; when citizens have employment, they can get income that raises their standards of living. According to the UN, “Labor is a fundamental tool to improve the wellbeing of the poor.” the existence of gender inequality in Algeria has impact the education sector; few women get the opportunity to go to school which results to the rising cases of unemployment. The high illiteracy levels among the women can be minimized by providing education to women and girls. This will greatly impact the society since degree of education is linked to economic opportunities social standards, and health and diseases. 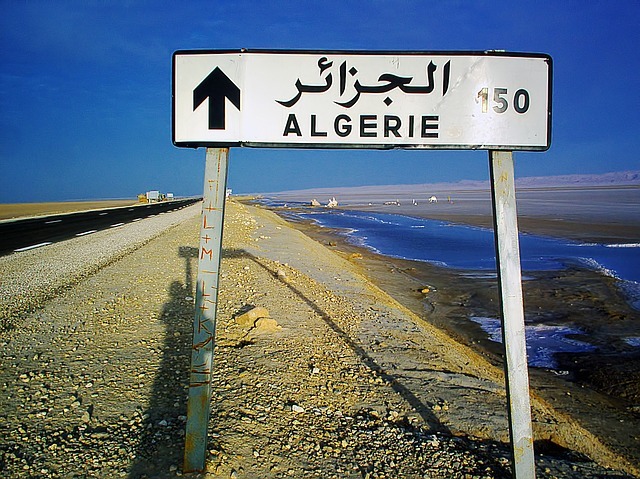 In Algeria, there are employed individuals who are still unable to live above the poverty levels due to low wages and high numbers of dependents. In order to ensure that the working class are living beyond poverty, the government should strive towards raising the minimum wage of the working sectors; this could increase the health and wellbeing of many people. It is also important to consider micro-financing to alleviate poverty levels in Algeria. The government should collaborate with loaning institutions such as banks so that the unemployed or those with low income get small loans to help in investments. This could raise the earnings of individuals and in turn improve the economic status of the nation.